The very survival of the Carmel River steelhead was at stake when members of the Carmel River Steelhead Association stepped up to the plate. The population of adult Carmel River steelhead returning from the ocean to spawn was plummeting. For the 14 years before the 1976 drought adult counts at San Clemente Dam had averaged 762 fish per year. Between the end of the 1976-1979 drought and the beginning of the 1987-1991 drought there was only one year where fish were counted over San Celmente Dam. That year was 1984 when only 380 fish passed over San Clemente Dam. CRSA believed another lengthy drought would spell extinction for the fish. Another more severe drought did start in 1997 with no water reaching the ocean for four years. In 1990 CRSA decided it was time to do something. First with permission from CDFW and then with a grant from CDFW, CRSA launched its captive broodstock program. With a hand-made smolt trap, CRSA captured 90 of the remaining Carmel River smolts and transferred them to a CDFW facility at Granite Canyon where other members of CRSA had constructed two 5 foot high by 20 foot diameter rearing tanks. 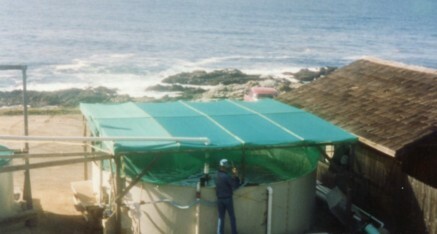 These valuable fish, a genetic strain uniquely suited to the Carmel River, were reared to sexual maturity in the two tanks with salt water pumped from the Pacific Ocean to mimic their natural habitat. As the smolts were several years old when captured, some were sexually mature after the first year of rearing. 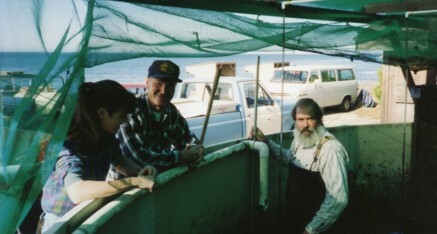 CRSA collected eggs and sperm for three years and released the resulting fry back into the river over a four year span. Some adults were released into the river to spawn naturally the second and third year, and in the fourth year all adults and fry were released into the river. The culmination was when 53,000 very young fish (swim-ups) were packed by mule and humans to the headwaters above Los Padres Dam. 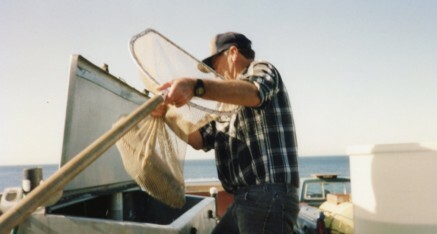 It is estimated that the program released over 350,000 fry and numerous adults into the Carmel River – fish that would not have been there without CRSA. When the drought was over, the brood stock program ended. 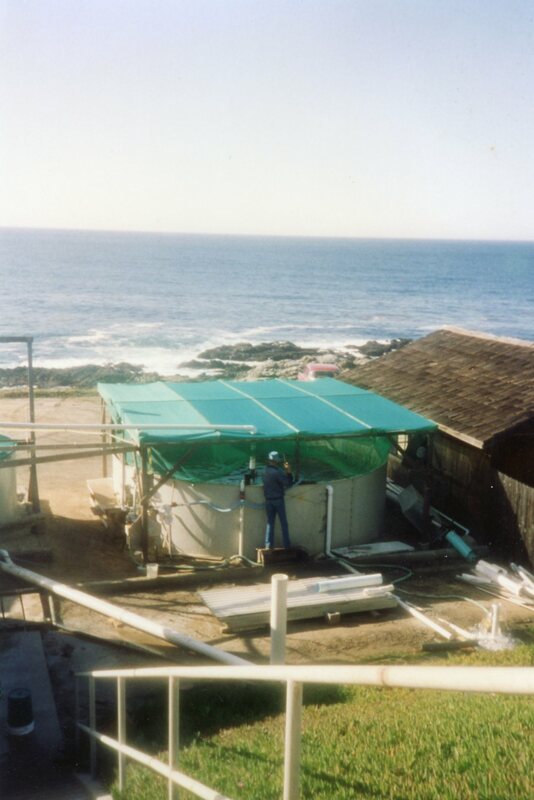 CRSA members who had tended the salt-water tanks, fed the fish and cleaned the tanks every day for four years, dismantled the tanks and donated them to the Monterey Bay Salmon Trout Project. This program was primarily responsible for ensuring the continued existence of the Carmel River strain of steelhead during 4 years of extreme drought when no migrations were possible.